Abstract: Spectrum analyzers and scanning receivers are widely used in EMI laboratories today. Their use for measuring both narrowband and broadband signals requires specific understanding of certain instrument and signal characteristics in order to correctly interpret the displayed results. Since both signal categories require a different interpretation of the result measured with a spectrum analyzer or EMI receiver, it is essential to know the characteristics of a signal in order to correctly determine its frequency and amplitude. In some cases, the characteristics must be known, in order to select the correct limit for the determination of EUT compliance. The measurement results displayed on these instruments are also dependent on some control settings, such as the sweep time and resolution bandwidth. Their impact on the measurement of signal parameters, like frequency and pulse width, must be understood to avoid erroneous interpretations of measurement results. The presentation will discuss methods for the discrimination between narrowband and broadband signals and will provide guidance for the proper operation of test instrumentation. Bio: Werner Schaefer is the owner and principal engineer of Schaefer Associates, a consulting and training firm. He was previously with Cisco Systems (compliance quality manager and technical leader for EMC and internal calibration) and with Hewlett-Packard/Agilent Technologies (product marketing, technical support and R&D functions). He has 28 years of EMC experience, including EMI test system and software design, EMI test method development and EMI standards development. He was secretary of CISPR/A, is currently chairman of CISPR/A/WG1 and a member of CISPR/A/WG2, ANSI C63, SC1/3/5/6/8, and serves as an A2LA and NVLAP lead assessor for EMI and wireless testing and RF/microwave calibration laboratories. He is also a NARTE certified EMC engineer and a RAB certified quality systems lead auditor. He published over 50 papers on EMC and RF/uwave topics and co-authored a book on RF/uwave measurements in Germany. Abstract: The effective and efficient use of radio frequency communication is solely dependent upon transferring electromagnetic energy to and from an antenna, and this energy transfer is also responsible for EMC issues. Many engineers today working in EMC (as well as those working in electronic system design/development) either have not had a formal background in antennas and transmission lines, or have not had an opportunity to practice their previous knowledge or skills in this area. Since these antennas and "antennas effects" can "make or break" a product's EMC compliance, or render communication systems non-functional - it is critical that there be an understanding of the physics involved in antenna and transmission line design and engineering. This presentation will consist of an explanation of antenna and transmission line theory, show the use of relevant mathematics in antennas, provide overview of computer methods to assist in antenna design, and show "real-life" examples. Bio: Mr. Mark Steffka received the B.S. degree in electrical engineering from the University of Michigan in 1981, and a M.S. from Indiana Wesleyan University in 1987. He has almost 30 years of experience in the design and development of military, aerospace, and automotive electronics systems. He is currently with General Motors' Powertrain Electromagnetic Compatibility (EMC) Group. In 2000, he was appointed as a Lecturer at the University of Michigan-Dearborn and in 2006, was also appointed as an Adjunct Professor at the University of Detroit - Mercy. He regularly teaches at both universities with courses on EMC, antennas, and electronic communication systems. He is the author and/or co-author of many publications on EMC, Radio Frequency Interference (RFI), and his paper to the Society of Automotive Engineers (SAE) Congress on "Engine Component Effects of Spark-Ignition Caused Radio Frequency Engineering (RFI)" was "Judged (by SAE) to be among the most outstanding SAE technical papers of 2007". He is an IEEE member and his professional activities include serving as a technical session chair for SAE and IEEE conferences, was the Technical Program Co-Chair for the 2008 IEEE International Symposium on EMC, and has been an instructor the symposium's "Global EMC University". He has also been an invited speaker at IEEE and SAE conferences held in the United States and international locations. 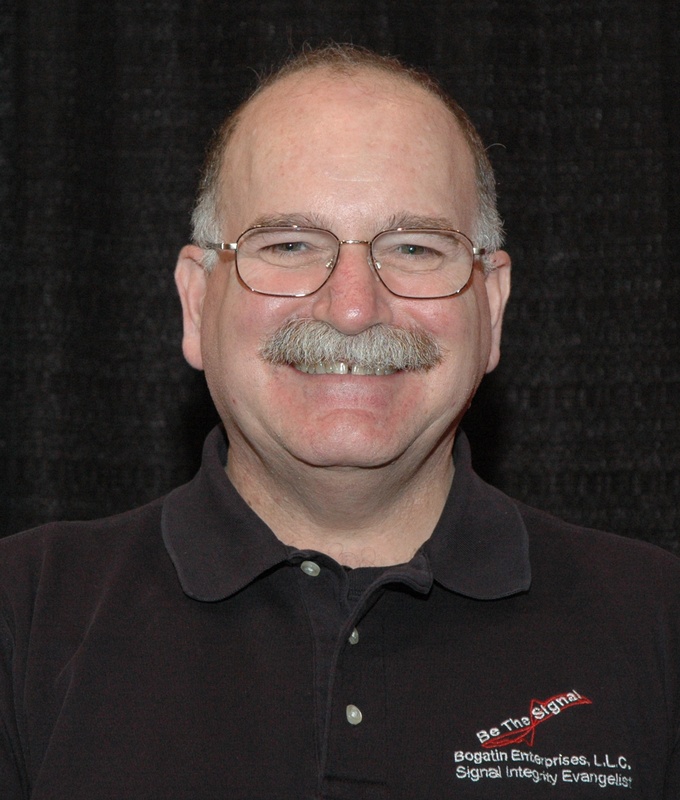 He is a member of the ARRL's EMC Committee, and holds the amateur radio call sign WW8MS. Abstract: Choosing the 'right' antenna for radiated immunity measurements can be, especially above 1 GHz, quite challenging. On the one hand a high gain antenna is desired to reduce the amplifier power needed. On the other hand the 3-dB-beamwidth needs to be taken into account to maximize the illuminated area. This is especially true for measurements according to IEC61000-4-3, MIL-STD 461 or full vehicle testing according to MIL-STD 464. This lecture will start with a short introduction into antenna basics. Show the difference between near and far field gain of logarithmic periodic and horn antennas with examples. Furthermore, examples of illuminated area calculations are shown. Bio: Hans-Peter Bauer has been at ROHDE & SCHWARZ since 1992, where he is a Senior Project Manager for EMC and RF Test Systems. 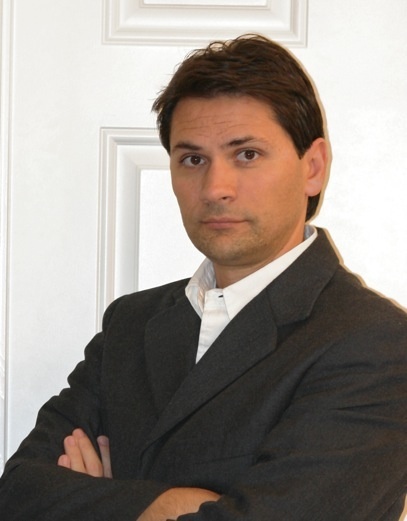 Hans-Peter has more than 15 years of international experience in the field of EMC test systems and projects for commercial, automotive and military applications. He received his electrical engineering degree (Dipl.-Ing.) from the Fachhochschule in Mannheim, Germany in 1992. Abstract: With the ever increasing speeds of logic and RF systems, the demands placed on PCBs have made it necessary to consider more than impedance when designing the stackup used to for PCB manufacturing. Traditionally, the electronics industry has placed the burden for designing the PCB stackup on the front end engineering personnel at PCB fabricators. While this is convenient for design engineers it places responsibility for several key electrical performance decisions on the fabricator's engineers which they are not equipped to handle. Among those performance decisions are crosstalk rules, impedance targets, interplane capacitance needs and types of weaves that will minimize differential skew between members of a the very high speed differential pairs used in protocols such as PCI Express, XAUI, Double XAUI and other data links that operate at multiple gigabit per second rates. This session is intended to cover all of the aspects of PCB stackup design from materials choices to arrangement of signal layers and power planes to take the most advantage of the fabrication process. It is taught by an engineer who has been designing PCB stackups for the workstation and super computer marketplace since these products began to be designed and is currently designing stackups for a wide range of products including terabit routers and other products employing signaling protocols to as high as 20 Gb/S. The author has worked with PCB fabricators from the inception of multilayer PCB manufacture and currently works with both fabricators and laminate suppliers to achieve the highest performance from the overall process at the least cost. Bio: Founder and president of Speeding Edge, Lee Ritchey is considered to be one of the industry's premier authorities on high-speed PCB and system design. He conducts on-site private training courses for high technology companies and also has taught courses for UC Berkeley's extension program as well as industry trade-show technical conferences. In addition, he provides consulting services to top manufacturers of Internet and server products. He is the author of two leading books on high speed design disciplines, "Right The First Time, A Practical Handbook on High Speed PCB and System Design, Volumes 1 & 2". He also the author and publisher of a quarterly newsletter, Current Source, that is dedicated to discussing ongoing topics of concern in the high speed design industry. Prior to founding Speeding Edge, Ritchey served as Program Manager for 3Com Corporation in Santa Clara, California where he was responsible for overseeing the signal integrity aspects of hardware design and product packaging for the company's router, switch, hub and NIC products. Before this, he served as Engineering Manager for Maxtor where he was responsible for the development of high performance disc drives. Previously, he was cofounder and vice president of engineering and marketing of Shared Resources, a design services company specializing in the design of high-end supercomputer, workstations and image products. Earlier in his career, he designed RF and microwave components for the Apollo space program and other space platforms. Ritchey holds a B.S.E.E. degree from California State University, Sacramento where he graduated as outstanding senior. In 1998, he was profiled by EE Times, as "the high-speed design ratchet man". In 2004, Ritchey began contributing a regular column, "PCB Perspectives" which appears once a month in EE Times. 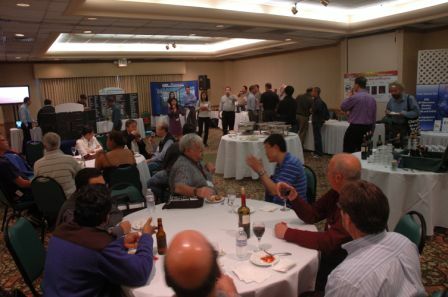 Santa Clara Valley EMC chapter organized their third annual Mini Symposium on May 19th 2011 at the Biltmore Hotel. There were over 25 vendors, 55 attendees and many raffle prizes. Dr. Eric Bogatin was the featured speaker for the one-day event. We will introduce the technique of using 2 ports of a VNA to measure impedances lower than a milliohm from 5 Hz to 5 GHz. We apply this technique to a few common PDN components such as voltage regulator modules, capacitors, vias and planes. We will have a VNA in the room and perform live demos of how to perform this measurement and how to interpret the results. Using the S-parameters from 2-port measurements from the first module, we will demonstrate a very simple technique to build high bandwidth models which can be used in both time and frequency domain simulations. Since we have the actual measured data, we will also show how to assess the bandwidth of the model. This technique will be applied to build models for the VRM, bulk capacitors, MLCC capacitors and via structures. It is very easy to perform a measurement of a pair of planes, but it is sometimes difficult to interpret the measurements. Sometimes the measurements have artifacts, sometimes they are just complex behavior. In this module we will look at the measured properties of planes and how to interpret the impedance profiles we see, both as self impedance and in terms of transfer impedance. We will see that how we set up the measurement is important in how we interpret the results. Finally, we will answer the question, So what? What do we do with the measurements to help us evaluate PDN performance. When capacitors are added to a board, the impedance properties change. The capacitors influence the impedance at different frequencies and depending on their design features. Sometimes they influence plane resonances, sometimes they do not. Sometimes the position matters, sometimes it does not. In this module, we will explore using measurements and simulations the essential principles of how capacitors influence the impedance of planes, when location matters and how to use this information in guiding PDN design. Bio: Dr. Eric Bogatin received his BS degree in physics from MIT, and MS and PhD degrees in physics from the University of Arizona in Tucson . 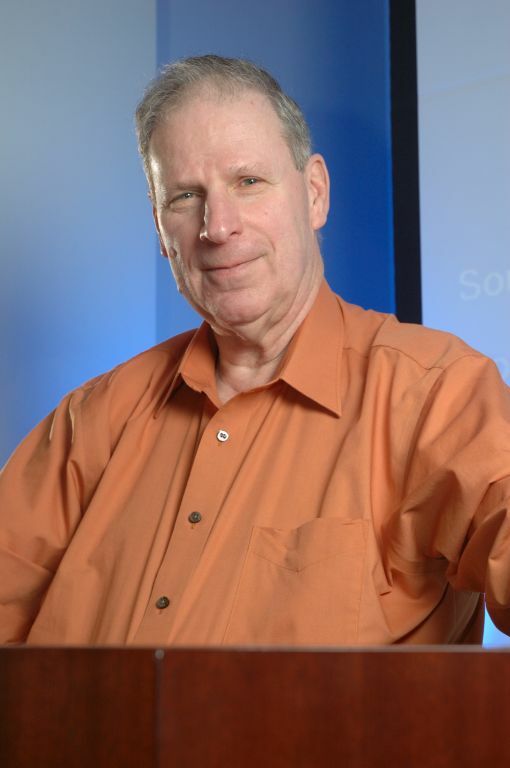 He has held senior engineering and management positions at Bell Labs, Raychem, Sun Microsystems, Ansoft, and Interconnect Devices. Eric has written five books on signal integrity and interconnect design and over 300 papers. His sixth book is a science fiction novel, Shadow Engineer, available on Amazon.com. Eric is currently a signal integrity evangelist with Bogatin Enterprises, which specializes in signal integrity training and education. He is a distinguished lecturer for the IEEE EMC society and lectures worldwide on signal integrity topics. How found? What events triggered the research? What failures occurred? Component damage? False trips? What IEEE PES protective relay standards evolved as a result? How the IEEE PES Substations Committee WG C2 built on that history to create IEEE 1613-2003 in eleven months - from a blank page to a balloted "IEEE 1613 - Standard Environmental and Testing Requirements for Communication Networking Devices in Electric Power Substations". What was new then? Required serial and Ethernet communication (via copper and/or fiber - depending on the ports provided in the device) per prescribed communication profiles, and the added pass/fail criteria for loss of communication. What's new now - A PAR to extend the scope to "In Electric Power Facilities" - AND Add a communication profile for communications via RF to be underway during each of the four transient tests, and - if necessary - tweeks to the pass/fail criteria. 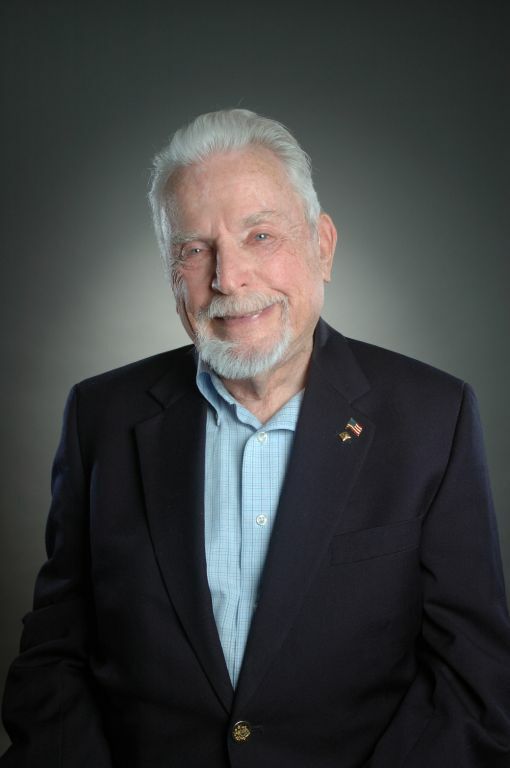 Bio: John T. Tengdin, P.E (IEEE LF' 2007) received US Navy training as a radio technician, then served about the USS Kern (AOG-2) at the end of WWII. He worked summers as a "grunt" in Espanola, NM for Inland Utilities Company during his Purdue years. He graduated from Purdue University, West Lafayette, Indiana in 1949 with a BSEE degree (Power Major - Tau Beta Pi, Eta Kappa Nu). His post college employment experience began with Dayton Power and Light Company in their Cadet Engineering Program. That was interrupted by a recall to active duty in the U.S. Navy during the Korean War as an Electronic Technician. At NAS San Diego, he developed a jeep mounted radio relay unit that automatically linked communications between HF and VHF voice channels - for use during front line close air support, and improved the design during field tests in North Korea. Upon return to civilian life, he joined General Electric Company as a field service engineer, later as an application engineer serving electric utilities and their consulting engineering firms. He worked for GE's Computer Department for three years until it was sold to Honeywell Information Systems in Wellesley, MA where he worked for two years. He returned to GE in 1972 as Manager of Product Planning for GE's protective relay business located in Philadelphia, PA. Under his direction, GE's PROBE Project installed a minicomputer (Varian V72) in a Commonwealth Edison substation to explore the limits to pure digital solutions. In 1980, he was one of the founders of GE's Digital Systems Operation in King of Prussia, PA. He began work as an independent consultant in 1986, and formed OPUS Publishing as a two man partnership specializing in substation automation and cyber security in 1999. It was the predecessor to OPUS Consulting Group, formed in 2007, where he is a Senior Partner and Co-Founder. He was one of the US members of IEC TC57 WG 10-11-12 that developed IEC 61850. He has received numerous awards from the PES Substations Committee and the PES Power System Relaying Committee for his work on technical papers and standards, and from the IEEE SA for rapid standard development. He chaired the IEEE PES Substations Committee Working Group C2 that developed IEEE 1613-2003 in eleven months. His 2007 Fellow citation was "for leadership in Ethernet local area network based protective relaying and control in electric power substations". He can be reached at j.t.tengdin@ieee.org. March 8, 2011: "Simplification process of a complex system into a useful numerical model" by Federico Pio Centola, Apple Inc.
Abstract: EMC simulations are not usually used to predict emissions but to quantify the relative difference between different design options. If the simulated result variation between different designs is less than the result uncertainties then the simulations cannot be trusted. As a result, it is very important to estimate (or at least have an idea) of the result uncertainties. The amount and type of geometry simplifications, the numerical technique used and the implicit assumption used by the simulation tool utilized will all affect the uncertainties of the results. This presentation will use a realistic model to discuss the simplification process and how it affects the accuracy of the results. Bio: Federico Pio Centola received his Laurea degree in electrical engineering from the University of L'Aquila, Italy and the M.S. degree in electrical engineering in 2003 from the Missouri Science and Technology University (formerly known as University of Missouri Rolla). His research interests included electrostatic discharge, shielding and numerical simulations. From 2003 to 2008, he has worked for Flomerics Inc. as a Senior Application Engineer. Since 2008 he has been an EMC Technologist for Apple Inc. 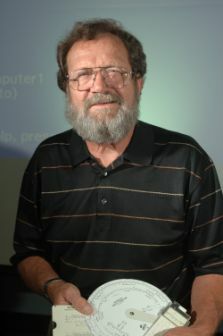 He has authored or co-authored a number of papers in computational electromagnetics, mostly applied to ESD and EMC problems. Abstract: Grounding considerations result in interaction of power and signal applications in major aerospace systems. This talk discusses the theoretical and practical basis for how to design aerospace ground systems (including test systems) that maximize probability of success. Fundamental concepts of stray voltage generation, impedance, current flow path control vs frequency, stray magnetic field limitation, safety, electrostatic discharge prevention (via grounding), and primary and secondary power grounding approaches will be presented. Handling of grounding and reference systems for both analog and digital applications in system will be addressed. Power boundary and isolation techniques (and how to achieve them), and prevention, limitation of common mode concerns will be discussed. Bio: Bill Imes is a Lockheed Martin Sr. Fellow, 46 Years as a senior engineer, 44 at LM. Bill provides detailed technical support on complex issues to all facilities, all lines of business, and management. 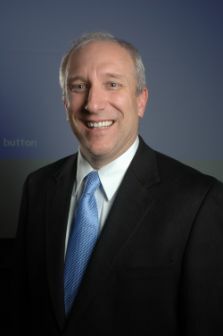 He has been significantly involved with most LM programs in Sunnyvale and has made contributions to numerous others in Space Systems(GPSIIR, GPB, Lunar Prospector, SIRTF, DMSP, FBM, AIA, HMI, HIRDLS, RM20), and elsewhere in the corporation (Aegis, JSF). His Specialties: Analog & Digital electronics design and analysis, systems design and analysis, electromagnetic compatibility, signal integrity, power systems, power electronics. 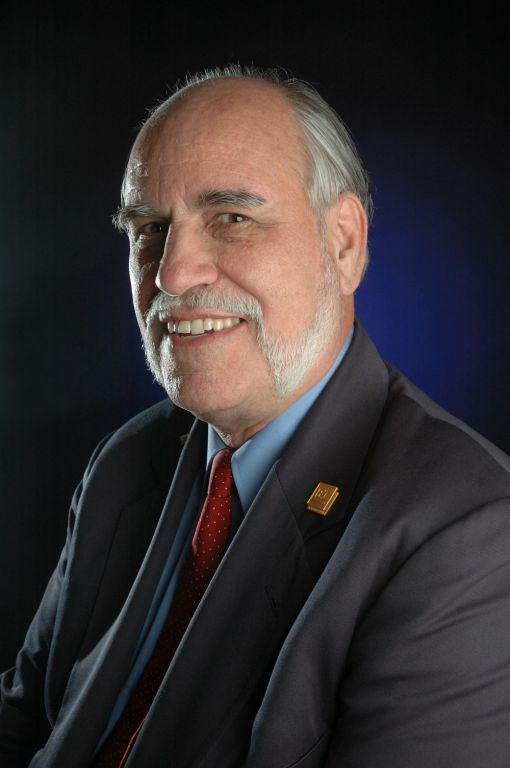 January 11, 2011: "HEMP, IEMI and Severe Geomagnetic Storm Effects on Critical Infrastructures" by Dr. William A. Radasky, President and Managing Engineer of Metatech Corporation, IEEE Fellow, P.E. Abstract: Over the past 10 years there has been a growing awareness that the threat of high-altitude electromagnetic pulse (HEMP) from a nuclear detonation could be devastating to the commercial infrastructures of the United States, with special concern directed to the U.S. power grid. Interestingly it has also been established that a severe geomagnetic storm from a solar event could also create significant damage to our power grid that could also take many years to repair. Finally a new threat of intentional electromagnetic interference (IEMI) produced by electromagnetic weapons by criminals and terrorists raises a third specific electromagnetic threat. This presentation will briefly review each of these threats and describe their potential impacts on the U.S. power grid. In addition, past work by the U.S. Congressional EMP Commission, the National Academy of Sciences and the International Electrotechnical Commission (IEC) will be mentioned. The talk will close with a brief summary of current actions being taken at FERC, NERC and the U.S. Congress. Bio: Dr. Radasky received his Ph.D. in Electrical Engineering from the University of California at Santa Barbara in 1981. He has worked on high power electromagnetics applications for more than 42 years. In 1984 he founded Metatech Corporation in California, which performs work for customers in government and industry. He has published over 400 reports, papers and articles dealing with electromagnetic environments, effects and protection during his career. He is Chairman of IEC SC 77C and IEEE EMC Society TC-5. Dr. Radasky is very active in the field of EM standardization, and he received the Lord Kelvin Award from the IEC in 2004 for outstanding contributions to international standardization.